The room the crew sleeps in is a porthole less, fetid little cell - like a Scarborough caravan which has been wet and fishy for 20 years and used as a changing room for the local rugby team. Fag stained plastic, wood grain-effect, laminated chipboard, vinyl and foam. A tiny wet room below the water line and next to the ships engine. 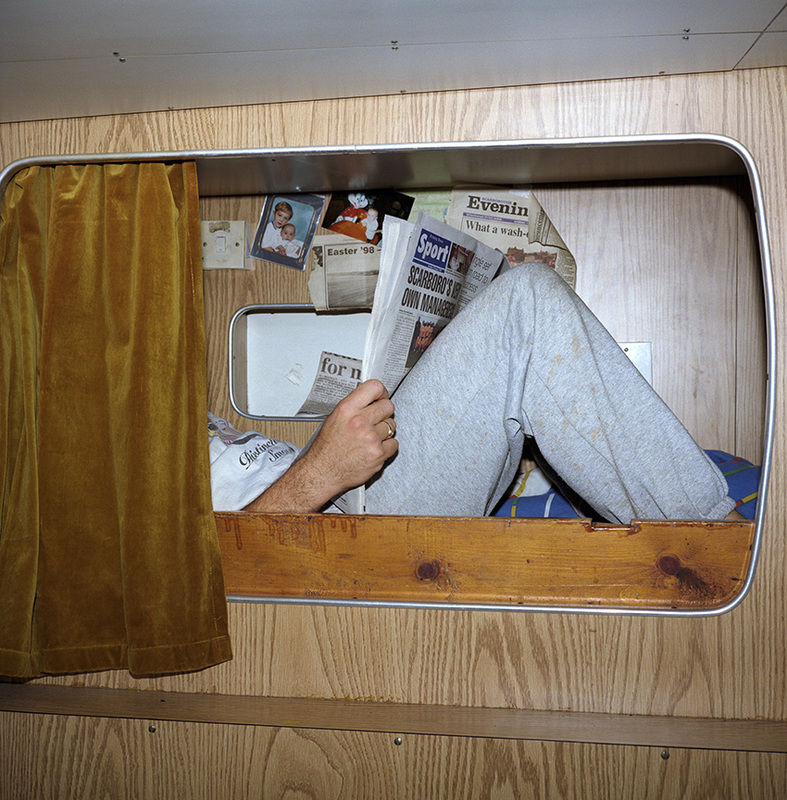 Tim tries to make his bunk more comforting with pictures of his family and reading the local news.